We’re sharing our top secret, most sought-after recipe: Brandy Butter! This hard sauce has been around since the Victorian era and is delectable on Christmas cake, pudding, or pancakes. It’s a luxuriously rich, sweet treat. 1) Using a food processor, cream the butter until very light, add the sugar and cream again. Finally, mix in the brandy, drop by drop until mixture is light and fluffy. Add enough brandy until you can’t taste the butter. 2) Chill in either a covered jar or bowl until needed and serve with Christmas Cake or Pudding. Use the finest ingredients when making brandy butter as this will make a significant difference. We prefer Kerrygold unsalted butter, Hennessy VS Cognac and premium Irish sea salt. 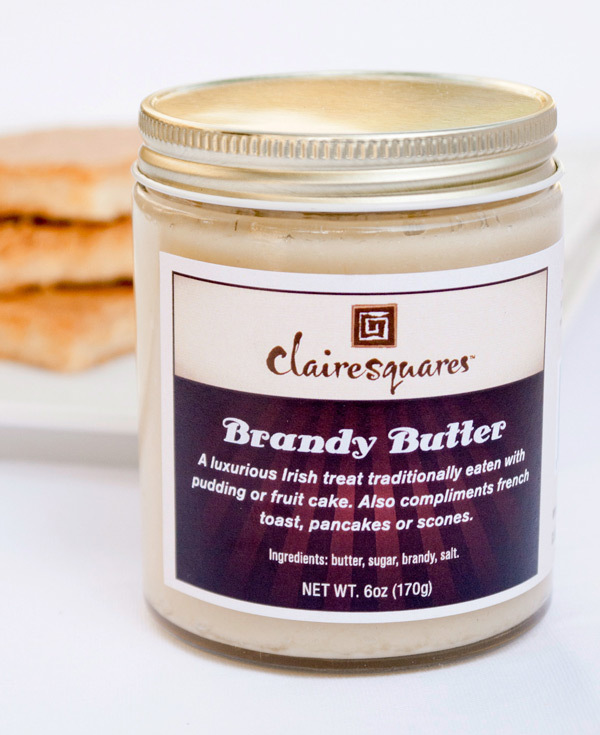 This entry was posted in Blog, Uncategorized and tagged brandy, butter, cake, Christmas.